Do you play a contact sport? Ask our 24 hour dentist about getting a mouth guard for the sport you play. For example, a football mouth guard will prevent a chipped tooth the next time you’re tackled on the field. While generic mouth guards are sold in sporting good stores, they don’t offer the same level of protection or comfort as a custom mouth guard. A sports mouth guard from our dentist will allow you to breathe, speak, and drink properly so you can focus on the game. Continue reading to learn more! You’ll still need to wear a mouth guardduring orthodontic treatment. After all the time it took to straighten your smile, the last thing you want is to knock out a tooth while playing football. A mouth guard for braces also prevents wires and brackets from ripping into soft tissue on impact. Get a custom mouth guard during orthodontic treatment so your teeth can continue moving into optimal alignment! It’s important you get a custom mouth guard during orthodontic treatment so your teeth can continue moving into optimal alignment. A generic mouth guard from the sporting goods store can be loose enough to snag on braces or tight enough to stop teeth from moving. 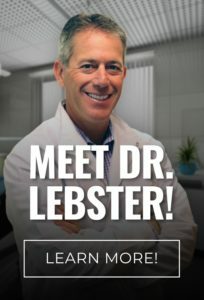 Dr. Lebster DDS will be able to create the best mouth guard for your smile. To schedule your appointment with our Holland dentist, call (616) 796-3200.